Usually when a new baby is born all the lovely gifts are for baby and not for mum. In reality baby probably already has everything that it needs and mum is left feeling overwhelmed, hormonal, tired and very much in need of a little love and pampering. 1. Jo Malone candle – Jo Malone – £44 – Whether it’s a candle or perfume, a gift from Jo Malone is guaranteed to make a new mum feel special. 2. Graze box – Graze.com – various prices – Whether it’s a Graze box subscription, Hello Fresh or a frozen meal delivery such as Everdine, some sort of food delivery will help a new mum out so so much. It’s just one less thing for her to have to think about. 3. Pyjamas – ASOS – £20 – Let’s face it, a new mum is probably going to be spending a lot of time in pyjamas, or at least I know I did! So treat her to some lovely new PJ’s, whether it’s these simple ones from ASOS or spoil her with luxury PJ’s or a dressing gown from David Nieper. 4. Badge – Not on the High Street – £8 – I couldn’t not add this in, it’s so cool! I’m a big fan of pin badges and this one would make a perfect little gift to welcome someone into the mum club. 5. The New Mum’s Notebook – All By Mama – £25 – I absolutely love the idea of this notebook and only wish I had had one when I was a new mum. It’s full of articles, journal pages and inspiration to help new mums navigate the first 12 months of motherhood. 6. Mug – Mutha Hood – £9.50 – I love this mug and just about every other item in the Mutha Hood shop! Head over and take a look for more quirky new mama gifts. 7. 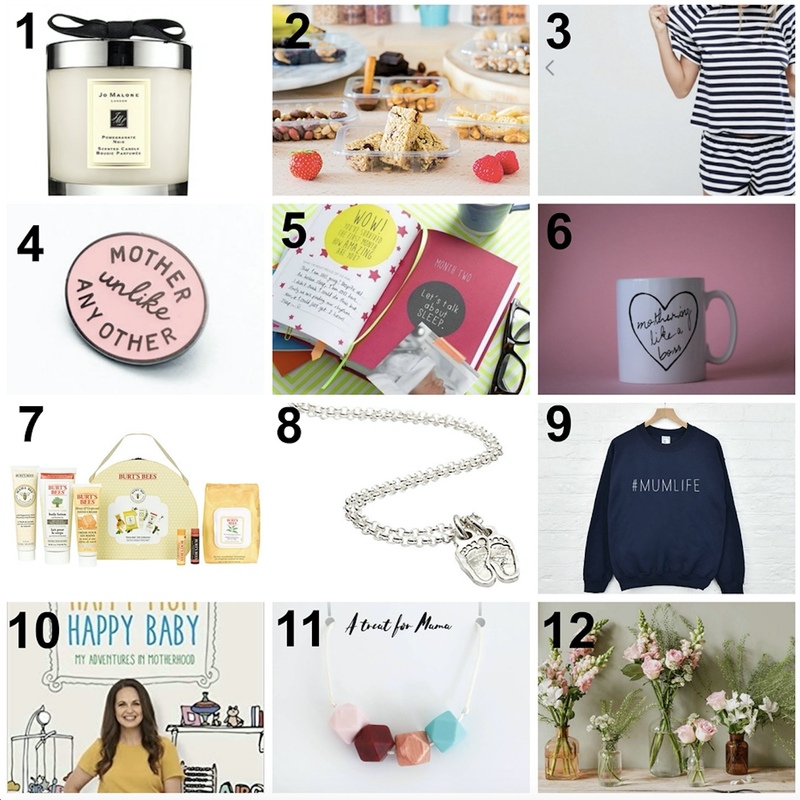 Mama Bee gift collection – Burt’s Bees – £34.99 – When I asked on social media, the one thing that kept coming up was pamper products and I couldn’t agree more. This gorgeous set from Burt’s Bees is guaranteed to make a mum feel special and give her some well deserved me time. 8. Foot print necklace – John Lewis – £138 – I stumbled upon this while I was browsing the John Lewis website recently and thought it would make a perfect gift for a new parent. John Lewis have lots of gorgeous personalised items so it’s definitely worth heading over and taking a look. 9. #Mumlife jumper – Ellie Ellie – £29 – We are big fans of Ellie Ellie and actually reviewed their #dadlife and #kidlife jumpers a couple of months ago (see that post here). This jumper would be perfect for throwing on when you don’t have much time to think about fashion as a new parent, and they are super comfortable and cosy! 10. Happy Mum, Happy Baby by Giovanna Fletcher – Amazon – £6.99 – Whether it’s this book or maybe The Unmumsy Mum or Clemmie Hooper’s How to Grow and Baby and Push It Out, a book is a fantastic idea for a new mum. Let’s face it, newborn babies sleep a lot to begin with (unfortunately just not at night) so make the most of it with a good book, it might be years before she gets the chance again! 11. Teething necklace – Not on the High Street – £15 – Teething necklaces are a great idea for a new mum because not only do they look gorgeous, (and these ones come in all different colour options too) but they are practical for when baby starts teething as well, win win! 12. Flowers – Bloom & Wild – various – Of course it depends on the person, but for me gifts don’t get much better than flowers. Especially for a new mum who may be feeling hormonal and those dreaded baby blues, seeing some beautiful flowers around the house might just help to cheer her up. 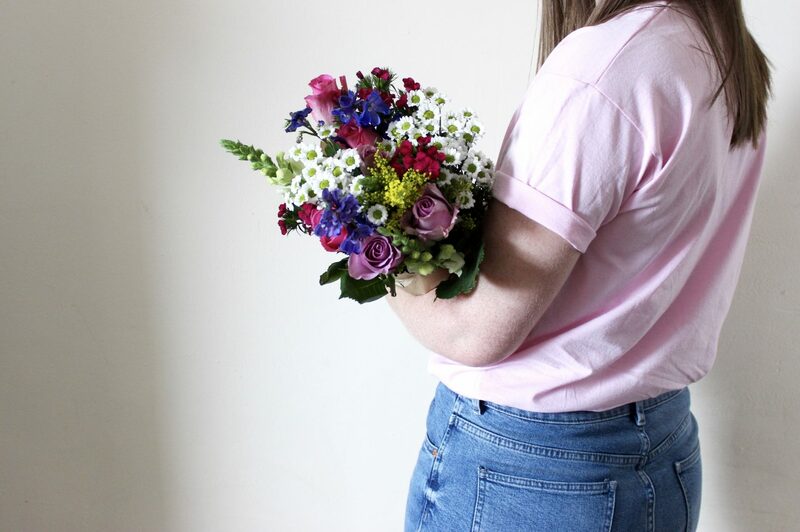 Bloom & Wild are great and they have lots of subscription options available from around £50, or you can just send a one off bouquet if you wish. Is there anything else you would add to this list? What would you have loved to receive as a new mum?